Nepal has had a rough year, with earthquakes and barricades along the Indian border that affect supply routes. It remains a great value for travelers with American Dollars in their pockets, and tourism is a major industry, one that could help lift the country out of the difficult circumstances of this past year. Hence, we've added it to our Top 10 Value Destinations for US Dollar Travelers for 2016. Don't wait! If you go to Nepal, you can stand on top of the world, both literally and figuratively. The small, landlocked Asian nation boasts eight of the world's ten highest mountains, including that climbers' superhighway known as Mt. Everest. While chances are you will never scale such a peak, you can at least feel like you are on top of the world while you are visiting Nepal. 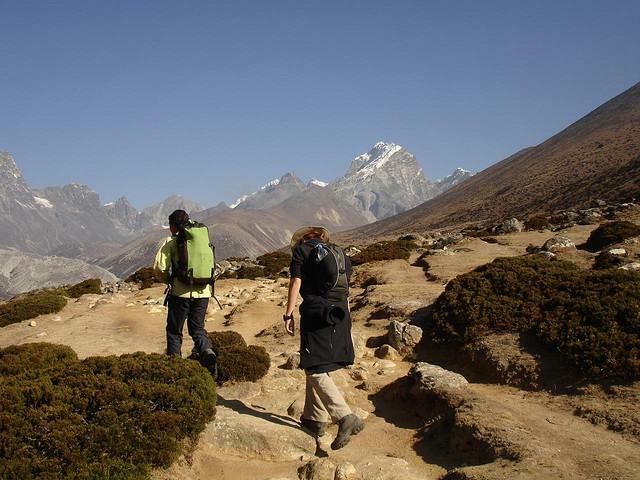 One of the most popular activities for tourists is to trek through the Nepalese countryside. In addition to being treated to outstanding views and stunning landscapes, you can also experience the friendliness and hospitality of Nepal's villages. You will fall in love with the mountains, you will have a good time in Kathmandu, but it is the time you spend exploring Nepal's countryside and getting to know its people that will stick with you for the rest of your life. One of the coolest parts about trekking in Nepal is Annapurna. You can hike Annapurna each day and be in the mountainous terrain of the Himalayas while still sleeping indoors in a bed in the many teahouses dotting the circuit. If you're looking for splendid scenery, some of the most dramatic in the world, and on a super cheap budget, you've found it. Plan on spending about $20-30USD per day for a comfortable experience. Some can do it on $5-10, if that's your cup of tea. Nepal isn't only Himalayan peaks. Temples dot the country, in cities like Kathmandu, Patan, and Bhaktapur. In the south, wildlife enthusiasts can explore the national parks and see the likes of rhinos, tigers, elephants, and a multitude of bird species. Read: The Best Place in the World to Trek. You'll need to fly there so start your search with the international airfare finder to find airfare to Nepal. Read: 6 Ways to Experience Nepal in Pokhara. You could sleep by a rock or you could choose to have a roof above your head. If you are a roof above the head type of person, you can find great deals on hostels in Nepal. You are going to Nepal. That is a bold move. You must be the adventurous type. How about joining some like minded travelers on an adventure trip? The best place to see what is out there is BootsnAll's Nepal Adventure Travel section.